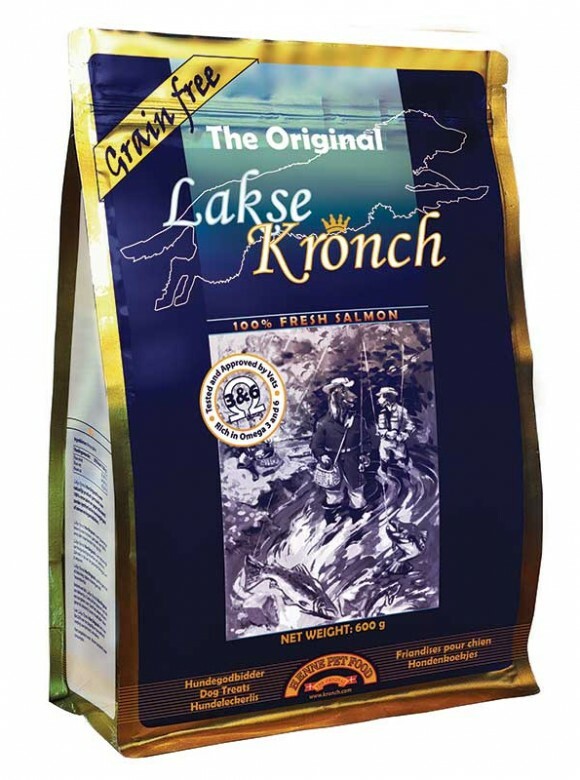 Kronch High Protien is made from 100% fresh salmon that your dog will adore. Kronch High Protien is naturally rich in protein, omega -3 and -6 fatty acids, vitamins and minerals. this helps you dog have a beautiful shiny coat and an improved active life. Kronch High Protein is a pure natural product containing no ethoxyquin, preservatives or artificial colours and flavouring. Kronch High Protien is your dogs preferred treat therefore ideal for training your dog and can be used as a reward.